We consider ourselves professional photographers, right? I know I do. I have a great full frame camera, decent lighting, amazing backdrops and some fun props. I have great relationships with my vendors as well as my sponsors. I am a proud member of multiple associations and I pay my dues religiously every month. My clients are happy with my work and I am proud to showcase the numerous awards, accolades and publications that I have acquired over the past few years. Recently, though, I have felt that these weren’t enough for me. Is it enough to only take and edit amazing portraits? Is it enough to enter a digital photo competition and to win a digital award? Two years ago I decided to enter print competition, with WPPI. I wanted to prove to myself, and my clients, that my printed work was just as awesome as my digital work that they saw on my social media as well my website. At this point I had entered and titled in PPA, WPPI and NAPCP competitions through digital entries. I was also offering Shootproof galleries that my clients were ordering prints through, and having those prints mailed directly to their homes. None of this was a print, in my hands. 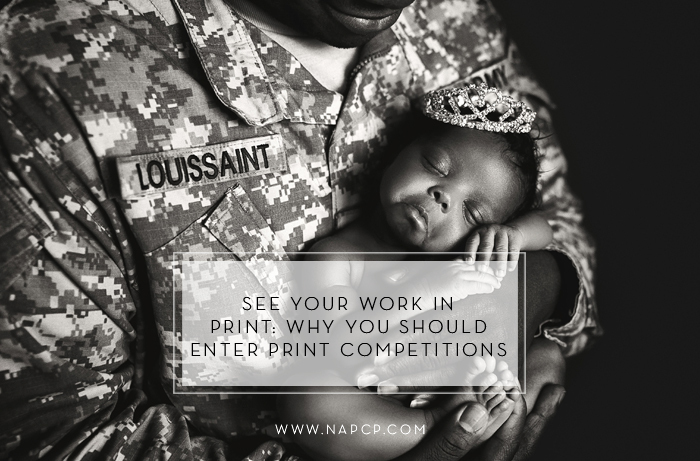 So this print competition was going to be different. I chose 5 photos that I believed were incredible, and not having a professional printer of my own I researched the best of the best of our current Print Masters. I found Jonathon Penny, and spent the time getting to know him, and talking about my prints, my ideas and what I was wanting from my prints. Was this cheap? Not at all. I believed this to be an investment, not only in myself or my business but in my future endeavors as a photographer. Jonathon printed my prints and sent them to WPPI. I was able to sit through the judging, and I have to say it was one of the hardest moments of my career. To sit in the same room as the judges as they critiqued your portraits was so nerve wracking! Two of my 5 images received a silver award from judges like the amazing Kelly Brown. Two out of five!! I was so pleased, and the best part, those prints came back to me and my studio. I now proudly display them on my walls, with their award winning ribbons, for my clients to see. Printed proof of my hard work. Printed proof that my portraits were great!! I took so many notes during the judging, notes that I brought back and incorporated into my work. I have seen my work grow by leaps and bounds. 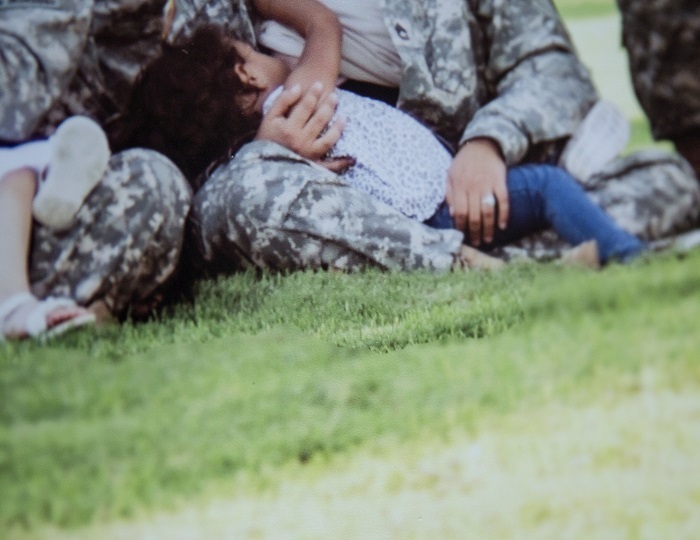 I also went viral around this time with a pretty amazing photo of 10 amazing military moms that were breastfeeding in uniform, and that made waves for me and my business. I have seen my photo on numerous websites, news outlets and printed publications. I edited that photo in Photoshop (PS) and until recently I had never seen that photo printed larger than an 8×10. The importance of this I’ll get to in a bit. Last year I attended WPPI again, this time with no prints. A military move and the holidays made it impossible for me to be able to enter and I went with every intention of watching the judging again, to learn as much as I could for this year. I sat through all of the newborns, children, seniors and creative portrait judging. Once again I had pages of notes, and ideas like never before running through my head. Canon Professional Services was there and offered a large format print to each member, and I took this opportunity to have that famous breastfeeding photo printed larger, at a 14×17 size. Watching my print come out of the printer was like watching cookies baking in the oven as a small child. The anticipation was too much and I was so excited, thinking of all of the many different places I would be able to display this print … only to realize once it was printed large that I could now see the small imperfections and issues that my editing in PS had caused. I’m including a photo so that you can see those yourself. At first I was super embarrassed. This portrait has literally been around the world!! How could I have missed this? How could I have not seen this. It was then I realized just how very very important a printed portrait is. I encourage each and every one of you reading this to take advantage of this amazing opportunity. Over the past two years I have had a change in mindset on printing and what I offer my clients. If I, as a professional photographer, do not understand how to print my own work or if I do not print and see my own work — and there are details that you can see on a print you can not see digitally … how will I be able to offer the best of my best to my clients? 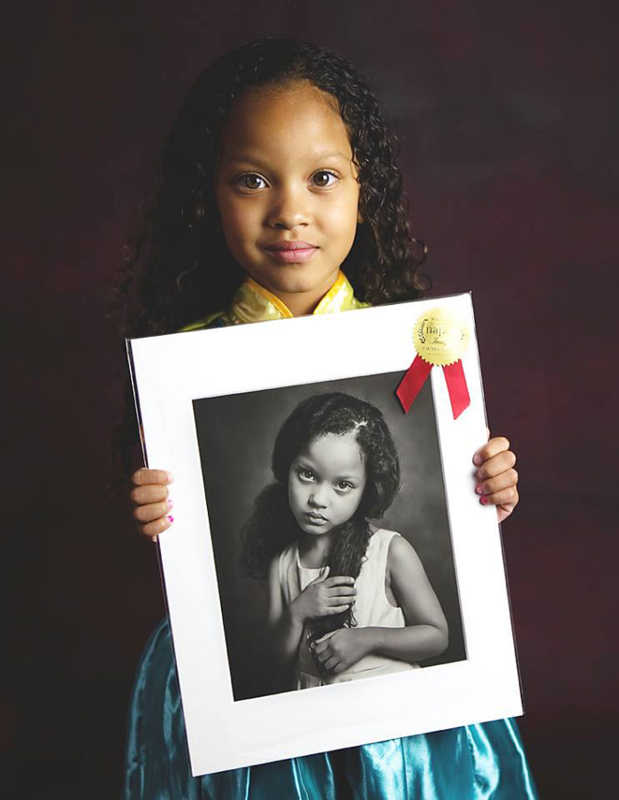 I had a previous client bring her daughter back into my studio to capture a portrait of her daughter holding the 2nd place win from last year’s NAPCP International Image Competition. How awesome is this? How many times does this get to happen? The look on her face is sheer pride. Not only was she able to see that we won, but I was able to plant a seed on how important printing portraits is. Our current generation is so engrossed with digital images, online media, and they are quickly forgetting just how important a printed portrait is. They are not growing up with the idea of combing through old photo albums and reliving the memories that flood your mind. How sad … and to know that we can change this. 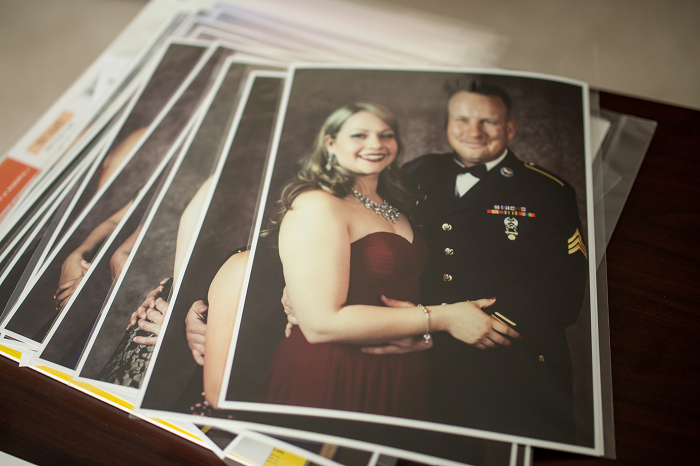 As I sit here today, printing 40 packages from a military ball, I’m completely convinced that to be a true professional we need to control our own prints. We need to see our work in print, not just on a screen. If you can not print at home yet, decide on a great print lab and work to print your own images and hang them in your home. You might be surprised, like I was, at the final result of your images. A digital image may or may not live as long as us; digital images might go the way of the cassette tape or the floppy drive. But a print …. It lives for generations.